Kino’s Journey is nice in that you can pick up a volume, and it doesn’t matter how long it’s been since you last read anything in the series. Each story stands on its own, and the vast majority of them are satisfying to read. And in the off-chance that there’s a story you don’t care for, it never takes long to get to the next one. The Tower Country — a country that continually builds a tower so tall, there’s no way it won’t come crashing down eventually… You know how this will go, right? The general theme of this volume–or at least, what came to mind the most for me–was the question of what is the best use of our lives. How should an individual live? What do we consider to be a life of great accomplishment? Does it really matter to achieve a life of great accomplishment? 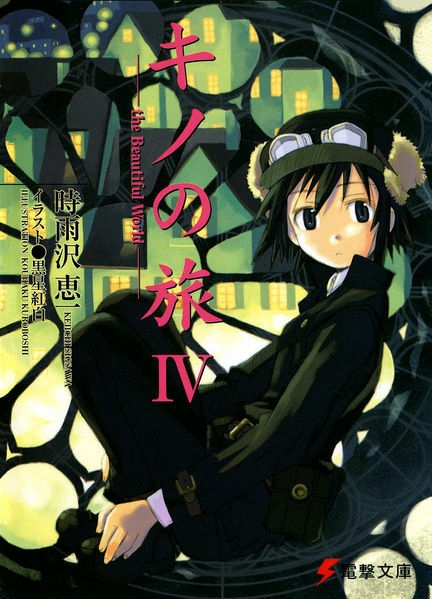 Kino’s Journey continues to be the perfect “food for thought” light novel series.